"To the family and friends of Lyle Chadwick, please accept..."
"To all Family & Friends, A very special person who has done..."
"You will be greatly missed. 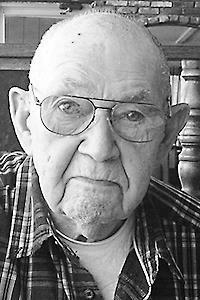 You was a uncle who was dearly..."
BURNHAM - Lyle H. Chadwick, 92, went to be with his Lord on Saturday, Aug. 4, 2018, in Waterville. Lyle was born on March 24, 1926, in Stetson, Maine, the son of the late Ivan and Marion (Rowe) Chadwick. 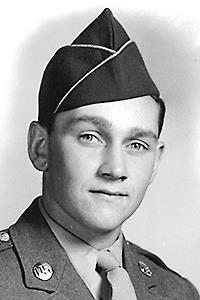 He graduated valedictorian from Newport High School with the class of 1944 and proudly served our country in the United States Army during WWII being stationed in both France and Germany. Lyle was all about community service. He established the Burnham Fire Department in 1959 and served as chief for 58 years. He was one of the oldest men in Maine to become a paramedic at the age of 59. He was instrumental in establishing the Unity Ambulance and worked on the Madison and Anson ambulance service. He was employed by Sebasticook Valley Hospital for over 30 years. In 2002, he received the Ethel Kelley Award and was named Fire Chief of the Year. Lyle enjoyed snowmobiling, hunting and fishing. In his younger years, he and his wife, Barbara, made wedding cakes together. He was a constant presence in the local parades dressed as a clown. He is a member of the Sno Devils Club, the VFW and the Maine Fire Chiefs Association. He served on the district school board, was a past selectman of the town of Burnham, and a former board member of SVFCU. He is survived by his sons: Douglas and wife Christine, Erwin and wife Terri, Roger and wife Allyson and Frederick and fiancée Ramey; grandchildren: Lance and wife Roxanne, Jennifer, RJ, Keon and Kaiya; great-grandchildren, Colby and Ethan; sisters: Barbara and Marilyn; and several nieces and nephews. He was predeceased by his parents; his loving wife, Barbara; brothers, Floyd and Reginald; sister, Arlene; grandson, Eric; and special friend, Arlene Lewis. The family will receive friends from 6-8 p.m., Wednesday, Aug. 8, 2018 at the Shorey-Nichols Funeral Home, 191 Hartland Avenue, Pittsfield. A funeral service will be held at 1 p.m., Thursday, Aug. 9 at the funeral home with Diana Hartley officiating. A committal will immediately follow at the Village Cemetery, Peltoma Avenue, Pittsfield. A celebration of life will follow at the Burnham Fire Department. All are welcome. To leave a message of kindness or share a memory of Lyle, please visit www.shoreynichols.com. Care has been provided by Shorey-Nichols Funeral Home, Pittsfield.